Dreams of the Tire Factory: Photographs by Michael Schoenewies and works by Peat “Eyez” Wollaeger is an exhibition at the Schmidt Art Center in Belleville, IL. Peat was invited to paint the Tire Factory for a fundraising event before it was torn down in November 2011 for a planned expansion of the City Academy. 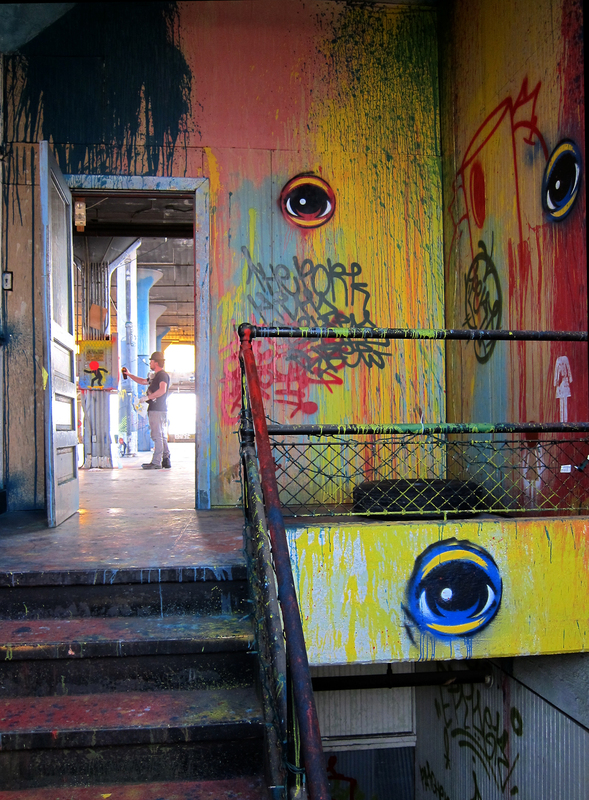 Peat, and his small team of street/graffiti artists painted the building inside. Around the same time he met Michael Schoenewies through the brand new social photo network Instagram and invited him (Atomicplaypoy) to document the process. The show features photographs by Michael Schoenewies as well as a few of the remaining pieces from the Tire Factory that were painted by Peat. The show is a look back at the Tire Factory before it became another building that’s been demolished in St. Louis. There will be two concurrent shows by Khara Koffel and Neil Jussila. Also, for anyone going to the show, you can take MetroLink, there is a station (the College station) that drops you off at Southwest Illinois College and the gallery is a short walk across a parking lot from the station. The Riverfront Times gave me a write-up/mention in the calendar of events for Friday. Now that smart phones have the convenience of a laptop, personal assistant and surrogate mother wrapped up in a steely graphite rectangle, it’s not surprising that these devices are rarely used for their intended purpose of making phone calls (how quaint!). 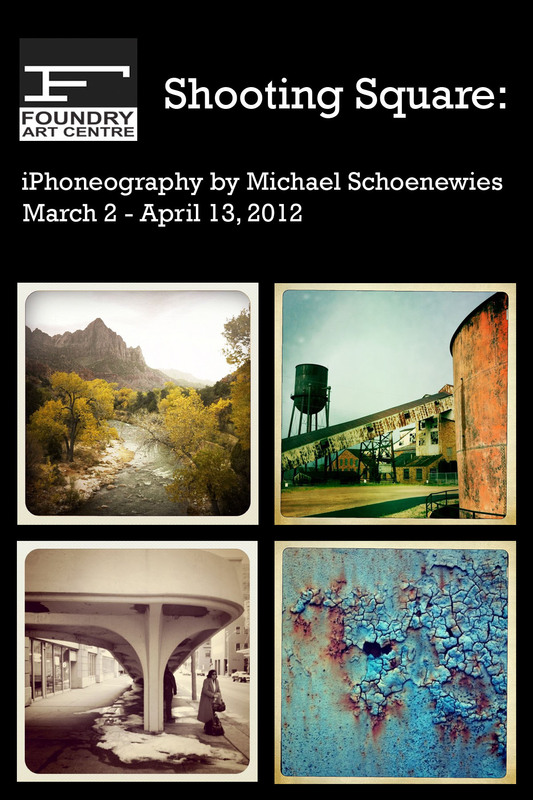 There exist a bevy of apps to satisfy every plausible artistic streak, but the realm of phone photography has spawned a million budding Ansel Adams, preserving each moment on digital celluloid and sharing them through Facebook, Twitter and Instagram. 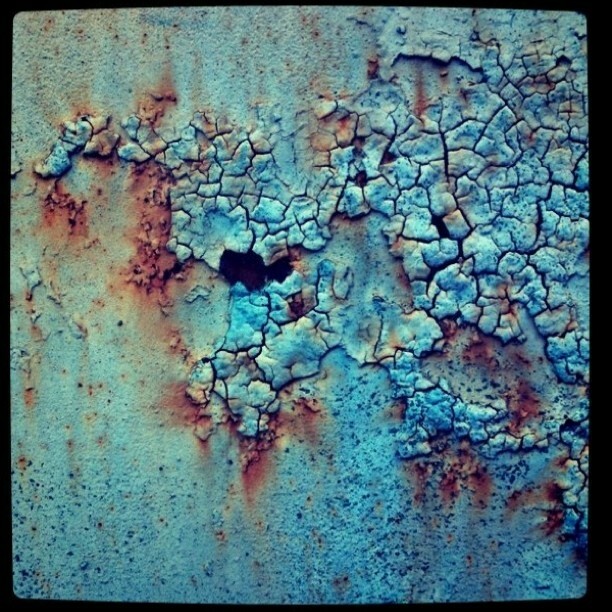 Local shutterbug Michael Schoenewies has embraced the camera function on his iPhone and uses his modern gadget to capture industrial decay in striking detail: crumbling bricks, bristling rust and scarred metal are the fodder of his urban poetry. The opening is Friday, March 2, 2012 at the Foundry Art Centre from 6-8. Hope to see you there! Today, I was honored to find out that St. Louis Public Radio chose one of my photos for their photo of the week. This photo will be featured in the upcoming show at the Foundry Art Centre and will be on display from March 2 – April 13, 2012. The photo will be a part of my series on beautiful decay. There is beauty all around us, you just have to stop and notice it, this photo was of the side of a dumpster that had looked like it had burned at some point. I will also have a series from my travels in Israel this past May. I will also have a series of photos from the Tire Factory that Peat Wollaeger had invited me to come and photograph. Peat, along with other street artist such as Ender and Tron, had tagged up an abandoned Tire Factory before it was torn down. The City Academy owned the building and had planned an expansion onto the property where the Tire Factory was. The City Academy invited Peat to paint it for a fundraising event before it was torn down. It was quite a great experience getting to photograph the Tire Factory before it was torn down, I was able to stop by on 3 separate occasions and see the progress of the work that Peat and others were doing. It was an amazing building with lots of decaying beauty in it and its really a shame it was torn down, it was in great condition and would have made a great art space. You can see the entire series of photos of the Tire Factory on my Flickr page. Getting things organized for my upcoming solo show at the Foundry Art Centre on March 2, 2012. 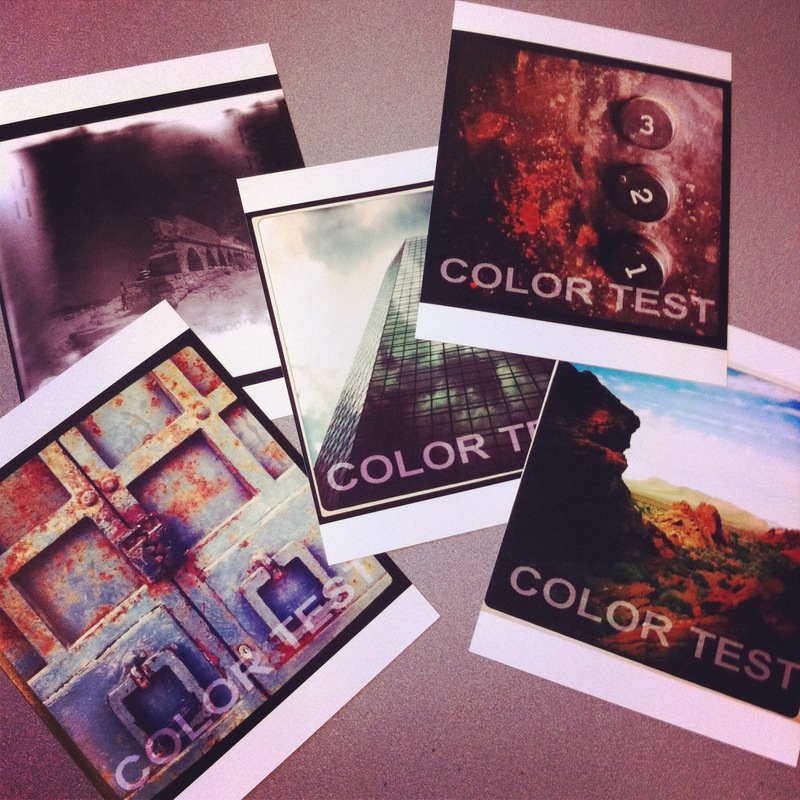 I received some test prints from Diversified Lab and I have to say, I’m quite impressed with them. Some of them are Instagram shots (low resolution 612 x 612) but they actually look quite good. They are digital archival prints on Fuji paper. I had wanted to see how the color would compare and I think it is spot on, even the black and white. Now the editing process begins.